Having a rich English vocabulary certainly comes in handy, especially if you are a non-native speaker that is required to speak and write English on a daily basis, which is the case with writers and international students, for example. You will be able to express yourself better, and articulate your thoughts and ideas. The best way to expand your vocabulary is to read books, but in this day and age, such a method is too time-consuming, not to mention the fact that you will forget most of those new words if you don't have the opportunity to use them frequently. Fortunately, there are plenty of apps and tools out there which can help you with your English. We have put together a list of 10 best Android apps designed to help you improve and expand your English vocabulary. Keep on reading. Bussu enables you to improve your vocabulary in a natural and engaging way, because it acts like a social network for learning new languages. The app comes with a wide variety of audio and visual materials which you can use to practice. Also, there are plenty of native English speakers around which can help you out in case you get stuck on a particular word. Interacting with others in a foreign language is probably the best way it to learn it, and this is about as close as you can get to that, without having to live in one of the English-speaking countries. This application is a favorite among those which are preparing for international and standardized tests, such as TOEFL, TOEIC, SAT, MCAT, GMAT, and PCAT, among others. 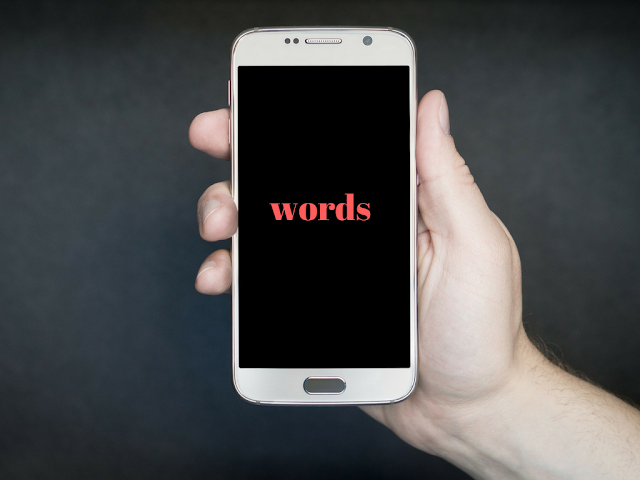 Each word inside the vocabulary comes with a correct pronunciation, and you can also search for words in two different ways: by looking them up and reading their meaning, or the other way around, which is incredibly convenient. You can also take tests inside the app, or have fun playing games such as Anagram, Millionaire, or Puzzle. Sporting an incredibly intuitive user interface, this app will provide you with new, random words and their meanings, and all you have to do is tap the buttons. Once you are confident that you have learned enough new words for the day, you can take the test which is inside the app. You will be required to match the words to their meanings against a ticking time clock. Furthermore, you can adjust the difficulty level, and the app will start showing you more complex words. Simple and effective. Memrise is an app which provides a significant improvement over the traditional flashcards. Most flashcards only feature the word you are trying to learn, along with its meaning, but here, you can also attach images, text, and other items which will help you to memorize the word correctly. Also, the app has a reminder feature, so that you don't forget the words you have already learned. The cool about Memrise is that you can download the list of words you have learned and go through it even when you are offline! Taking the whole flashcard approach even further, FluentU not only enables you to view new words along with their meanings, but it also helps you remember the words by playing multimedia which contains that particular word. That means you will be able to watch videos, cartoons, music, and so on, which contain that particular word used inside proper context. Aside from being entertaining, the entire experience is very immersive, which means it will be more difficult for you to forget the words you have learned. Part of expanding your vocabulary is learning how to spell new words. Designed by Dictiornary.com, Miss Spell's Class is an effective app which works like a game. Every time you take a test, you will be presented with a list 20 words. You goal is to answer which ones are spelled correctly, and which ones aren’t, while the score is calculated based on your speed and accuracy. There is even an online scoreboard, which introduces an element of competition. This application also contains flashcards, which you can always view to refresh knowledge of the words you have learned, but it’s party piece is its game-like interface. Using the words you have learned, or which you want to learn, the app will create quizzes which require you to fill in the blanks, choose the right meaning of the words, and provide answers. Similar to a game, there is a progress indicator which is shown at the end of every game, and a high score list. In addition to providing you with the ability to create your own flashcards, as well as use those created by other users, Quizlet also enables you to create your own custom quizzes to test your knowledge. There is also a variety of other features, such as the vocabulary matching game, and the pronunciation of each word by native speakers in case you decide to check out the app's “learn” mode. You can also share the flashcards you have created with others. All of this can be done very easily inside Quizlet, thanks to a user-friendly interface. In addition to this, Magoosh is offering a bunch of other flashcards, each suited for a particular kind of vocabulary. This means you can make use of flashcards which contain medical English, or those which contain words that will help you prepare for your GRE or GMAT tests. Another great thing about Magoosh flashcards is that they are created by experts. When you combine that with the app's ability to track your progress, with a strong focus on words which you find problematic, you can rest assured that will learn them properly. With this app, you will be able gain access to millions of different flashcards. If you have ever visited Cram.com, you will be happy to know that all of the flashcards that are available there can also be found inside the mobile app. As is the case with other apps of this type, you can create your own flashcards, or change the existing ones to improve your studying process. The app also has a “memorize” mode, which intentionally leaves out words which you already know, thus pushing you to focus on learning new ones. Expanding your vocabulary can help you improve your academic, professional, as well as your personal life, so take a few moments each day to learn some new words. With these effective apps, the entire process will feel like a game, and you will walk away after each session knowing more than you did before. Joan Selby is a former ESL teacher and a content marketer at Superior Papers. She also runs her own blog about social media and writing tips. Joan is a Creative Writing graduate and fancy shoe lover. A writer by day and reader by night, giving a creative touch to everything. Connect with her on Twitter and Facebook.